Science fiction presents us with many wacky ideas, and you may wonder whether they have any connection to reality. Well in this book Michio Kaku describes plenty of ideas which seem like fiction but have been given serious consideration by physicists, for instance wormholes, warp drives and time travel. The book is in three parts, starting with a look at the current state of cosmology which is followed by a look at various ideas in physics related to parallel universes. The final part considers how we might reach such a universe. The book is easy to read, and is recommended to anyone wanting to find out more about the strange ideas from science fiction. Continued..
Albert Einstein's theories had a revolutionary effect on physics at the start of the 20th century, but these theories are often hidden in mathematical equations and can be hard to understand. In this book Michio Kaku takes the reader through the simple ideas which lead Einstein to his theories. Thus we heard about Einstein's early struggles culminating in his 'miracle year' of 1905. This was followed by the development of general relativity and Einstein's rise to fame when it was experimentally confirmed. Then, in the last 30 years of his life, Einstein worked away from mainstream physics in his search for a unified theory. It's a well written book, being highly informative as well as having an easy to read style and is to be recommended to anyone wanting to find out about Einstein's work. Continued.. In Physics of the future: how science will shape human destiny and our daily lives by the year 2100 Michio Kaku uses the information from interviews with experts in many fields to predict how our lives are going to change in the next century. Continued.. 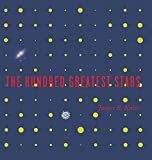 In this original way of looking at the variety of stars and star systems, James Kaler picks out 100 stars and writes about the special characteristics of each one. Each star has a double page to itself with an illustration and summary of its vital statistics on one side, and a self-contained essay about it on the other. Apart from the Sun which, because of its special place in our affections, appears in a place of honour as star zero, the remainder are dealt with in alphabetical order - maybe a bizarre ordering, but it does emphasise the sheer variety of stars and star systems. Continued..
Goedel's incompleteness theorem tells us that no finite set of axioms can capture the essence of the integers - there will always be non-standard models of such a set of axioms. In Models of Peano Arithmetic Richard Kaye takes a look at such nonstandard models. The book is not for the fainthearted though - there's no gentle introduction, from the start it is full of highly abstract symbols. The book is aimed at aimed at postgraduates starting research into the subject, and assumes some previous experience of model theory. Continued.. Mathematics has an air of being the most secure form of knowledge. In Mathematics, The Loss of Certainty, however, Morris Kline shows that this is not necessarily deserved. He shows how, rather than mathematics being an obvious progression of knowledge, in fact many ideas in the subject were strongly resisted when first introduced, and even when accepted often rested on insecure foundations. He explains how Euclidean geometry turned out not be as 'obviously true' as people thought, how calculus was based on the shaky ground of infinitesimals, and how grudgingly imaginary numbers came to be accepted as a valid way to do calculations. Continued.. Interesting things don't tend to happen in the simplest of systems, nor in the most complex, but somewhere in the middle. In Simplexity:The simple rules of a Complex World Jeffrey Kluger takes a look at this phenomenon, and how it applies to a wide range of topics. He starts with the problems we face when everyone is following the trends set by others, whether it's leaving a burning building or investing in the stock market. Later he examines the effects of scale in living things, and in particular how long they live, and see whether this can be extended from organisms to organizations. Continued..
'The Ghost in the Machine' is Koestler's classic work on the human mind and human society. Despite taking Ryle's jibe at dualism for its title, the book isn't specifically on the philosophy of mind. Rather it criticises the whole area of mechanistic models of humans and human behaviour. Koestler packs a great deal of discussion into the book, looking at the nature of humans on all levels from neurons to global society. Koestler was going against the tide of the new thinking in biology, and I'm not convinced that the book heralded a revolution in the life sciences, as some would claim. However the arguments are skillfully put and this overview of the human condition is well worth reading. Continued.. The flu outbreak of 1918 was one of the worst killers in history, but for some reason it doesn't feature very much in history lessons. In Flu, Gina Kolata takes a look at this outbreak, and the influence it has had since that time. However, this book is not primarily a history of the 1918 outbreak. Nor does it explain the details of the science of the flu virus to the reader. Rather it is a collection of stories related to the outbreak, and in particular those of scientists who have sought to prevent a recurrence. Continued.. When I started Theory of computation by Dexter C. Kozen I had the feeling of being thrown in at the deep end. This is not the sort of book with a gentle introduction to the subject of computational complexity. Rather it is aimed at the postgraduate level, and so assumes that the student will have previous experience of the subject. That said, it seems remarkably self contained, with at least a sketch of the important proofs of the subject. It also has an extensive set of exercises for each chapter with solutions, and so would be an excellent choice for independent students, provided they have sufficient background knowledge of the subject. Continued.. In Beyond Star Trek, Laurence Krauss builds upon The physics of star trek to look at the science which lies behind other science fiction. Its a bit more critical than his previous book, starting off by demonstrating the impracticalities of interstellar travel. The trouble is that it all seems a bit negative - science fiction fans will want to know how what they read about might be achieved, not about how it can't be done. Some of what Krauss had to says was more positive, such as his views on extraterrestrial life, but even here I had feeling that he didn't have a convincing argument for his ideas. Continued..
Quantum theory is often shrouded in a veil of mystery, and you may wonder what all the fuss is about. Is it a case of those in the know trying to make it seem more difficult, or is there really something weird about it. In Quantum : Einstein, Bohr and the Great Debate About the Nature of Reality Manjit Kumar explains how such a view of quantum theory came about. Continued.. Most of you will have heard about the strangeness of quantum theory. Many writers use this as an excuse for the promotion of a mystical world view. Quantum Enigma: Physics Encounters Consciousness by Bruce Rosenblum and Fred Kuttner is different: here the authors show that however down-to-earth you try to be - remember that quantum theory is involved in the production of many of the devices we use in our everyday lives - you have to acknowledge that there are some questions about the theory which are difficult to answer. The book looks at the differences between classical and quantum physics then moves on to look at the EPR paper and Bell's theorem, ending up with a discussion of the authors' ideas on the links between consciousness and physics. Continued..